Posted on June 14, 2017 at 12:46 am. 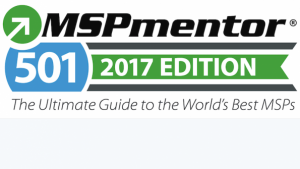 Hoboken, NJ ­- (Cision) June 14, 2017 – eMazzanti Technologies, a NYC area MSP and IT consultant, continued its climb up Penton Technology’s MSPmentor501 list that ranks the world’s top managed services providers (MSPs). According to MSPmentor’s June 13 announcement, eMazzanti Technologies improved 10 spots from their 2016 ranking to 140th on the 2017 MSPmentor 501 Global Edition, an annual ranking of the world’s top 501 managed services providers. 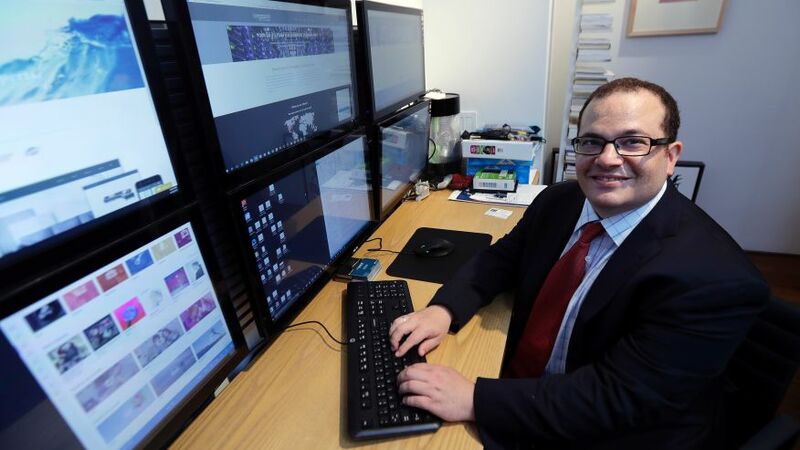 Since its first appearance on the list, eMazzanti Technologies has improved its ranking on the list every year, rising 41 spots since 2013. The MSPmentor501 ranking is the IT channel’s largest and most comprehensive list of leading managed service provider (MSP) organizations worldwide. To qualify for the 2017 MSP 501, candidates submitted confidential applications that included their 2016 financial results. MSPs were also asked to provide verification of revenues from a certified financial professional. The 2017 MSP 501 list and survey hinges on a revised methodology that assigns different weights to revenues by source. The methodology relies on an algorithm that evaluates company strength based on revenue contributions from various business activities. The companies on the 2017 MSP 501 list reported a combined total of $14.52 billion in revenue (based on 2016 results), up 15% from the previous year. In an effort to encourage honest and robust participation, MSPmentor does not disclose specific annual revenue information (i.e., revenue dollars). To achieve its worldwide leadership status in the MSP industry as one of the top managed services providers, eMazzanti Technologies, has generated consistent double-digit growth since its founding in 2001. The company’s focus on IT services for retailers, law firms and manufacturing mirrors a trend in the industry to concentrate on niche markets. In addition, innovative disaster recovery as a service (DRaaS) and cloud infrastructure as a service (IaaS) offerings have helped to fuel rapid revenue growth in recent years. eMazzanti’s CEO, Carl Mazzanti was recently named as an EY Entrepreneur of the Year 2017 Award Finalist in New Jersey. In addition, the company was named 2016 New Jersey Business of the Year. Other honors awarded the company include, 3X Microsoft Partner of the Year, HP Partner of the Year and 5X WatchGuard Partner of the Year. In addition, eMazzanti has ascended the Inc. 5000 list for the seventh consecutive year. eMazzanti customers enjoy increased data security, productivity and profitability with the company’s comprehensive cloud offerings, eCare managed services, and responsive 24/7 expert assistance. In addition, the company’s IT professionals apply their industry expertise to develop, revenue enhancing legal and retail IT solutions as well as custom solutions for manufacturing and other industries.